MainAll NewsUS & CanadaFBI chief cites JCC investigation as organization's success. James Comey, under fire for handling of Clinton email scandal, says FBI remains 'vital' to national security. Under fire for election-related controversies, FBI Director James Comey cited a successful outcome in the JCC bomb threats case as an example of why the agency’s work remains vital. 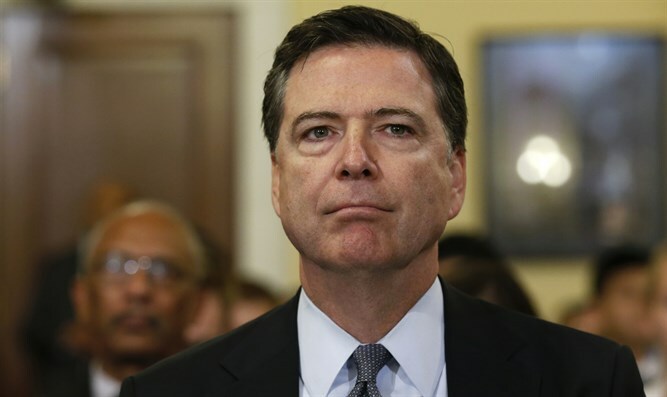 “Children frightened, old people frightened, terrifying threats of bombs at Jewish institutions, especially the Jewish community centers — the entire FBI surged in response to that threat,” Comey said in his opening remarks Wednesday to the Senate Judiciary Committee. “Working across all programs, all divisions, our technical wizards, using our vital international presence and using our partnerships especially with the Israeli national police, we made that case and the Israelis locked up the person behind those threats and stopped the terrifying plague against the Jewish community centers,” Comey said. In March, an Israeli-American teen was arrested in Israel on suspicion of calling in more than 100 bomb threats. Last month, the U.S. Justice Department charged the teen, Michael Kadar, with making threatening calls to JCCs in Florida, conveying false information to the police and cyberstalking. Both the chairman of the committee, Sen. Chuck Grassley, R-Iowa, and the ranking member, Sen. Dianne Feinstein, D-Calif., made clear in their opening remarks that the hearing would be tough going for Comey because of election-related tangles involving the FBI. Grassley wanted Comey to explain leaks exposing investigations into alleged ties between Russia and Donald Trump’s presidential campaign. Feinstein asked why Comey felt it was necessary for the FBI director to reveal on Oct. 28, less than two weeks before the president election, that he was set to reopen an investigation into whether Hillary Clinton, the Democratic nominee who would lose to Trump, had criminal intent when as secretary of state she conducted government business through private email. Comey had closed the case earlier in the campaign, saying there was no evidence of criminal intent. Comey explained that there was evidence new emails from Clinton could be found on a laptop seized from Anthony Weiner, the former congressman who resigned in a sexting scandal and who now is under investigation allegedly for sexting with a minor. Weiner, who is Jewish, was then married to Huma Abedin, an assistant to Clinton. Included were emails from a private Clinton email account that the FBI had yet to access, Comey told Feinstein. “If there was evidence that she had bad intent, that’s where it would be,” he said. It has long been a mystery why Clinton’s emails ended up on Weiner’s laptop. Comey, for the first time, provided an explanation: Abedin was sharing email, including classified information, with her husband. “Somehow her emails are being forwarded to Anthony Weiner, including classified information by her assistant Huma Abedin,” he said.